A British journalist who was captured by ISIS more than six years ago could still be alive, according to a senior Kurdish official in Syria. 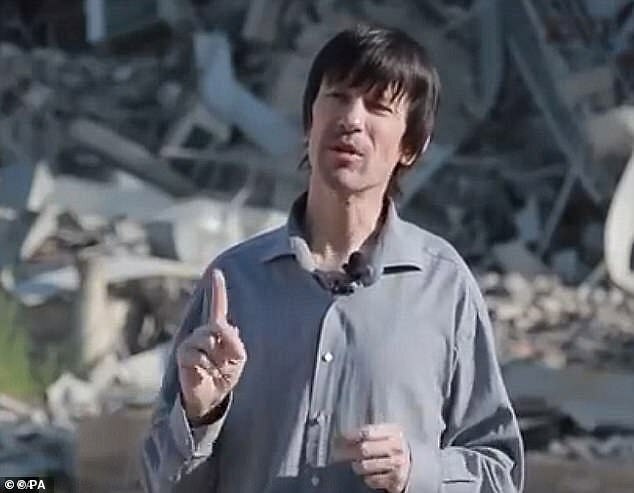 John Cantlie was taken by ISIS while reporting in Syria in 2012 and has been used by the depraved cult to create English-language propaganda. He was last seen in a video recording during the early battle for Mosul in December 2016. Since the conflict for the Iraqi city, there have been conflicting reports regarding his wellbeing. One report suggested he escaped to Raqqa, while another said he was killed. ISIS are now surrounded near the Syrian town of Hajin, in the eastern province of Dier Ezzor, and has been under attack from Kurdish-led forces known as the Syrian Democratic Forces (SDF). Mustafa Bali, a SDF spokesman for the US and British backed militia, said there was unconfirmed reports Cantile was ‘still alive and moving around’ in Hajin. He told the Times he was trying to substantiate the reports with ‘special sources’. The whereabouts of at least three foreign journalists in Syria remain unknown. Along with Cantile, among the missing journalists are Austin Tice, thought to be held by the regime, vanished from Damascus in August 2012, and Shiraz Mohammed, a South African photojournalist who disappeared near the border with Turkey two years ago. 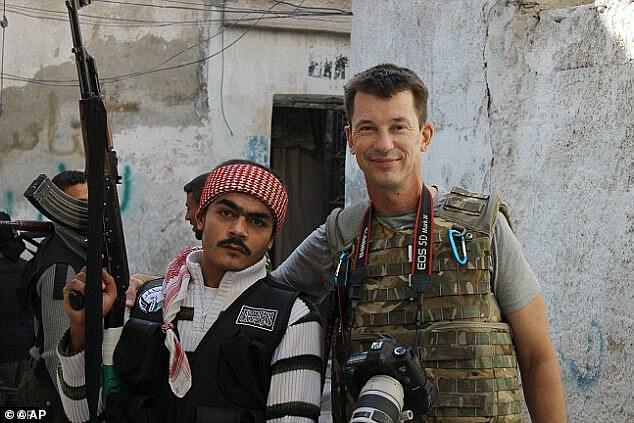 American reporter James Foley, who was taken hostage with Cantlie in Idlib, was killed by ISIS in 2014. In November last year, a former ISIS member told French magazine Paris Match that he saw Mr Cantlie in the Syrian city of Raqqa, 300 miles from Mosul. He told the magazine in October that he saw him ‘seven or eight months ago, in my prison, with an interpreter’. The ISIS man claimed Mr Cantlie, 47, was working for the regime, speaking to prisoners and asking them about their conditions in jail. He said: ‘He presented me with a pass on which I immediately recognised the green stamp of Baghdadi himself. ‘All ISIS authorities, emirs and soldiers are asked to facilitate the work of John Cantlie,’ said the document. ‘I welcomed him and he went to interrogate the prisoners: how were they there? What were their conditions of detention? What they ate, if they were well treated.